Hard cider made its Utah debut at KUER 90.1’s autumn Cider Mixer held at the new Mountain West Hard Cider facility in Salt Lake City on November 12, 2015. 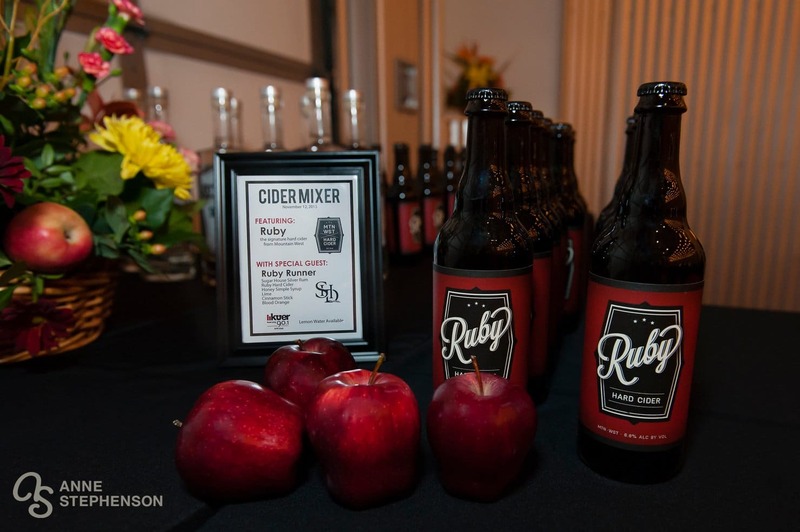 Guests enjoyed a sneak preview of Ruby, a flagship cider handcrafted from locally sourced ingredients. The mixer also featured delicious Ruby Runner cocktails made with Sugar House Distillery’s Silver Rum, honey simple syrup, lime, cinnamon stick, blood orange and Ruby cider. The evening of fun included conversation, food and door prizes. If you’d like to see the complete photo gallery, press the play button on the video link below. Cheers!